Introducing the Delvaux Madame Bag. 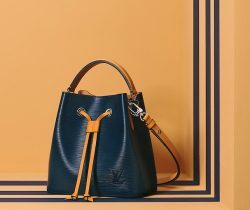 This bag has taken its inspiration from another bag named “Marronnier” which was designed back in 1977. The..
Presenting the Delvaux Brillant Bag featuring top handle and iconic buckle. The Brillant Bag was created back in 1958 in Brussels, and has..